Leo Sek obtained a Master of Government and Commercial Law degree from the Australian National University and is currently pursuing a part-time PhD in economics with research focus in economic analysis of competition law. He also received an MBA, a master degree in accounting and bachelor degree in information engineering. 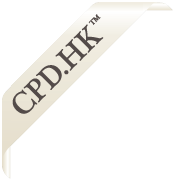 He has spoken in CPD course for lawyers in competition law and published a few articles in newspapers commenting on the development of competition law in Hong Kong. He is currently an Instructor of Law and teaches Hong Kong company and business law in university. Competition law, which is newly introduced to Hong Kong, is an area of law which bases heavily on economics theory. The fundamental concept of the law is to avoid the economic inefficiency caused by practices which harm market competition. However, some business practices of vertical restrictions, e.g. resale price maintenance, have been subject to debates whether they should be banned by the law, as economics studies on these practices developed in the last decades. The seminar, which targets at lawyers with limited economics background, aims at providing the foundation knowledge of industrial economics to understand the economics rationale behind the law. Particular focus is placed on the area of vertical restrictions, with supporting discussions of relevant cases in different jurisdictions. The topic bases mostly on economics, but the speaker, who teaches law in university, will deliver the materials in a lawyer-friendly way. “Economic Efficiency Exclusion” in Schedule 1 - Vertical restrictions excluded? Vertical restrictions: Economically efficient or not?